Remember that one friend of yours that first introduced you to the cajon? Or maybe simply because it’s a percussion instrument. So, in order to answer all these questions, I created for today’s article a guide to help you better understand the cajon and choose the right model for you. Therefore coming up with an instrument that could be mistaken for a box, or a stool. That is for the history part. Often a snare inside, but not always. The general consensus is that hardwoods produce the best sounds. Softwoods (like pine) don’t project as much sound and are much less sturdy. Which is definitely true for other wooden instruments. But the truth is, with cajons, it’s actually very difficult to hear these differences, and the only type of wood that might produce a big enough difference is oak, because it’s one of the hardest wood on the planet, which results in a louder sound. So as long as your cajon is made out of one of these hardwoods, you’re good. The front plate is called the “tapa”. It is the (main) striking surface of the cajon. The tapa can be screwed, glued or sometimes both to the cajon, which doesn’tmake any real difference in terms of sound, so you can just disregard this detail. The material it’s made from: which is usually wood, but can sometimes be fiberglass or carbon fiber. Carbonfiber and fiberglass tapas are much more durable and resistant and also produce a louder sound. But they’re also heavier and more expensive. Peruvian cajons – which have no snare and are the original instrument, just a wooden box. Flamenco cajons – which use guitar strings as snare. Snare cajons – which use real drum snares. Each one of these models has a very distinct sound and in the next part I focus on them with more details, so you can figure out which model you prefer. Nowadays refered to as Peruvian Cajons, snareless cajons are the way original cajons were made. They’re mostly made out of solid wood and are basically a hollow wooden drumbox. The sound of Peruvian cajon not being as “rich” as the one of snare cajons, it’s not unusual to see Peruvian cajon ensembles. In fact, while snare cajons have a big enough sound range to accompany a guitar or even a larger band, Peruvian cajons tend to sound better when played together. As only a bunch of specialized Latin brands still make them. If you’re looking for a cajon that can produce that typical “slap” sound, you’ll probably want a cajon with some type of snare. Flamenco cajons gained their name thanks to Paco de Lucia, probably the most famous flamenco guitar player ever. While on tour in Peru in the 1970s, he was gifted a cajon and thought it would fit flamenco music. Guitar strings were added to add more texture to the sound and that’s how the flamenco cajon was born. Allows for a more technical (fast/controlled) playing than any other type of cajon. After players started complaining that no matter where you strike the tapa, the snare would vibrate. And so to address this issue, some brands started stretching the strings diagonally accross the corner making them vibrate only when the top corners are played, and leaving the bass completely “buzzless”, keeping a clean, deep sound. Snare cajons typically produce a wider sound, and therefore don’t allow for an overly technical playing, unlike flamenco cajons. Each manufacturer has its own number of snare, but you’ll most commonly see two sets of snares, each one made of many little wires, just like on the picture on the right. So if you want to find that drumsnare slap sound on your cajon, that’s the type you’re looking for. Thanks to a knob or pedal, adjustable cajons allow you to change the snare response by simply loosening or tightening the snare wires/strings/brushes. You can also turn it off completely. The position of the soundhole also influences the sound of the cajon. It is most often placed on the rear plate as it is the quickest way out for the sound, but sometimes you’ll find it on one of the sides. Rear Off-center: More sustain and depth, less volume. Rear Centered: Higher volume, less sustain. Side: A good choice for small live settings in the case the cajon is not mic’d. Nowadays you can find all sorts of new cajons types, and brands are always innovating toward more versatile instruments. Here are a few of the most relevant examples. Acrylic cajons are considered the most durable cajons. The sound you’ll get out of them is not as warm as a wooden model, but it’s not necessarily a downside, especially if you gig a lot. They have a very crisp and bright sound, which can suit some situation, such as live settings. Now, these are some very expensive cajons, but if you appreciate their sound and can afford them, definitely go for it as reviews seem to indicate an amazing sound. Can’t make up your mind between a Peruvian cajon and a snare cajon? Its sound hole is placed on the side — as opposed to the back for most cajons — which allows you to play on both front and rear plate. One of the plates has a snare so you can choose between a snare cajon and a more traditional Peruvian cajon. You can also take the snare out and put it on the other plate, which will change the pitch of the cajon. With this model you basically get 2 instruments in one. This Cajon is the first electro-acoustic cajon. 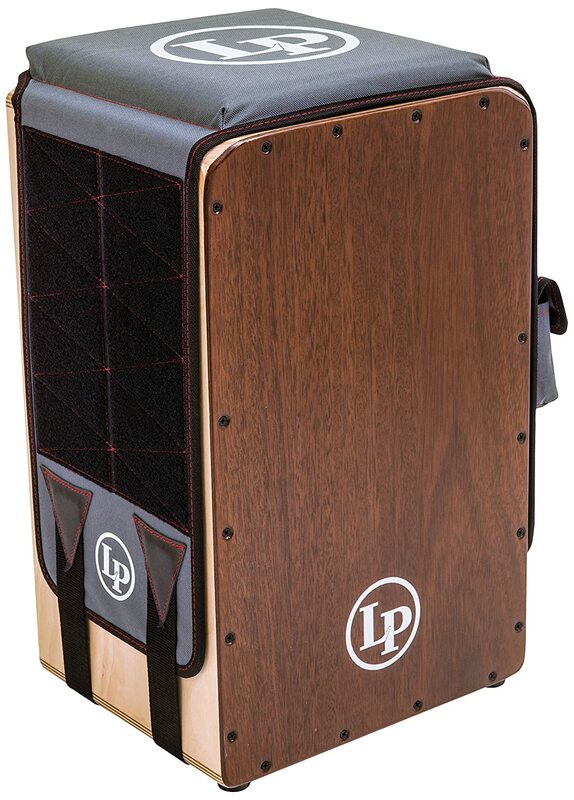 It’s a flamenco cajon with built-in amplification and battery, as well as a Roland sound module. It works on regular batteries but can also be plugged into an electrical outlet. Ability to switch between elctronic and acoustic sound while playing. If you’re a drummer you probably already know Roland for their electronic drumkits, which are considered to be among the best in the world. Here is a cajon that you do not sit on. This cajon was made to be played on the top plate, while being secured between your legs. 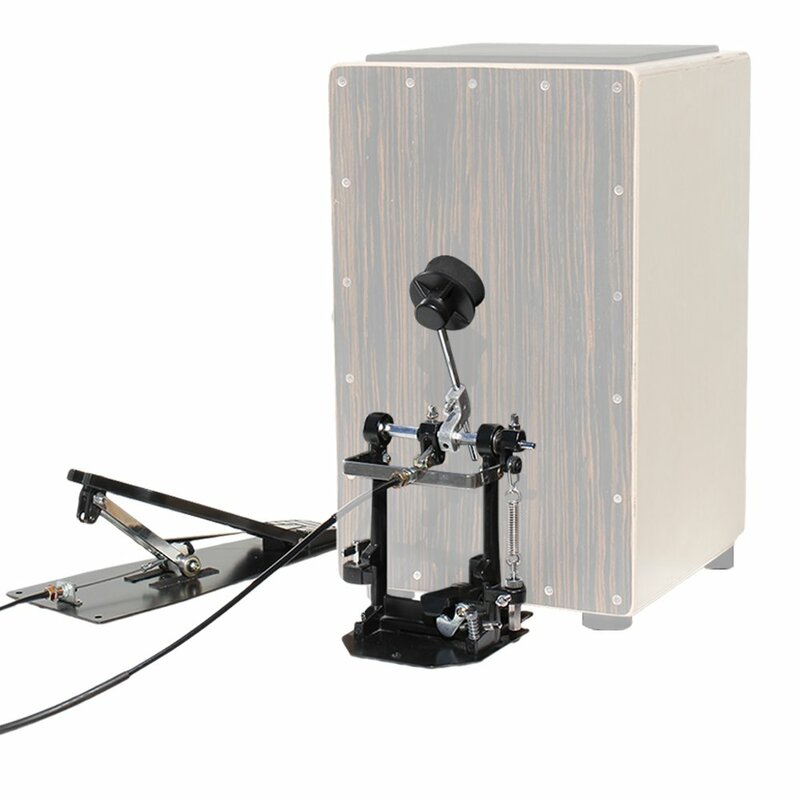 The main advantage of this design is that the sound is projected forward, as opposed to backwards on a regular cajon. Rave reviews and a relatively low price are two added assets of this cajon. And that might be due to the fact that the cajon is such a “simple” instrument. But the tuth is some of them will definitely extend your range of sonic possibilities. Just like when you add a new element to your drum kit. If you’re a drummer and already play with brushes, you’ll probably be surprised to learn that there are actually brushes specifically made for cajons. At least that’s what the brand Meinl claims. 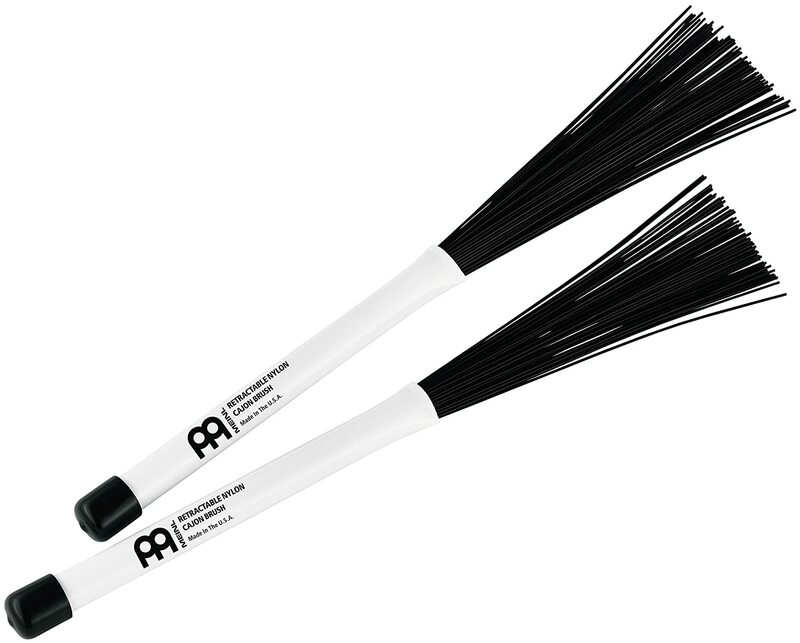 But since nylon brushes already exist for regular drums, it’s very likely you could just as well use brushes that are not labeled “cajon brushes”, especially if you already own a pair. Anyway, I didn’t know you could play the cajon with brushes, but the result does sound good and it looks like they really add to the sound. Cajon pedals allow you to turn your cajon into a bass drum, whether you use it in a kit or while playing guitar, for example. Designed by drummers, this pedal provides the same feeling as with a regular kick drum pedal. Sitting for hours on a cajon can become challenging once you start doing it on a regular basis. 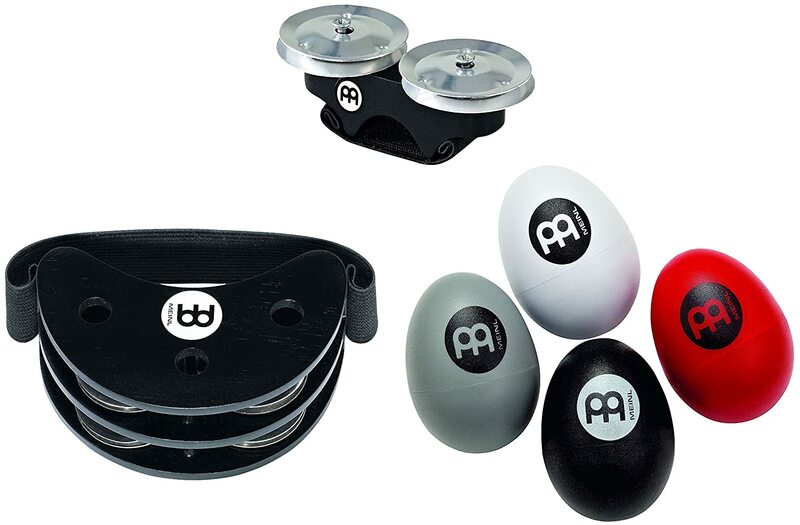 With this accessory, not only do you get to sit more comfortably, but you also get a quick access to your other percussion accessories thanks to a brush holder and a pouch placed on each side. Here is the ultimate solution if you need a truly “portable” drumkit. Probably the best alternative to a “real” drumkit if you need to play in smaller venues, or any other place where a regular drumkit is too loud. So there you go guys…the Ultimate Guide to Cajon. Hopefully, with everything we covered, you’ll be able to take an informed decision when shopping for your cajon.